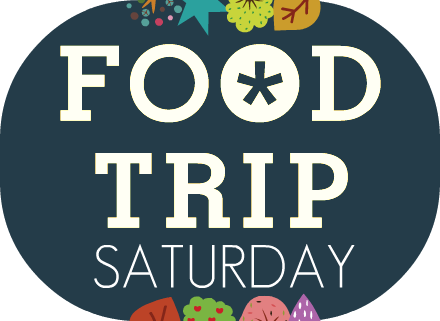 My Saturday was all about food, food and more food! How can I even start my diet if I'm always eating? Hahaha. But of course, I cannot let these opportunities pass given I can spend fun times with my colleagues at work! Our batch never really had the chance to have eat outs that's why I was quite excited that we could make it happen this time. Sadly, we're not complete. Coffee madness with Mike, Che and Princess Diana. I tried their Vanilla Latte and of course, my all time favorite, Cinnamon Swirl. 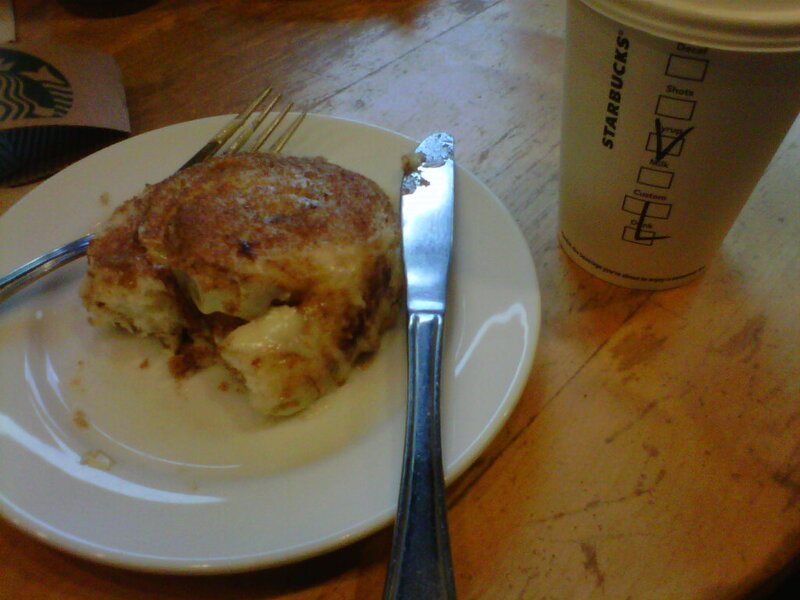 Our batch was supposed to have lunch together but 2 of our colleagues cannot make it so we settled for coffee. Afterwards, we headed to Chic-Boy (YES, AGAIN AND AGAIN AND AGAIN~) because another batch were celebrating their first year of employment. A round of beer after a heavy meal at Chic-Boy. The celebration was cut short since most of us had shifts later that night while some had other places to go. But it was really fun though! I went to Trinoma after because I was meeting up with my boyfriend. Strolled around for a good hour because he was a little late. Ehehem. I was able to pay some bills and do my grocery while waiting for him. 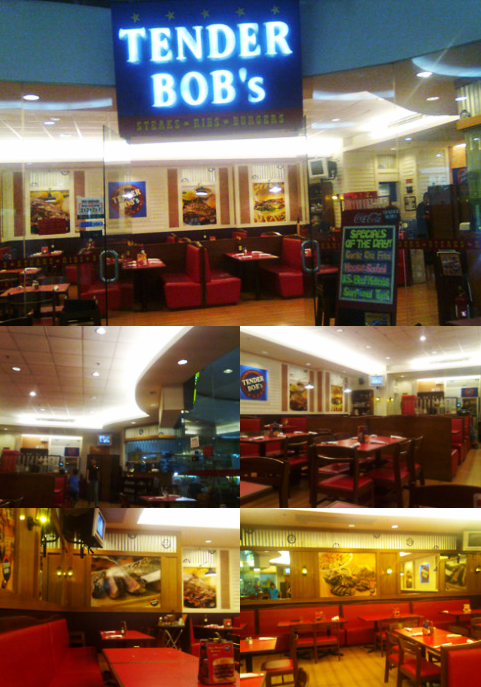 Then we decided to eat at Tender Bob's at SM North Edsa's The Block. There were actually a lot of people when we got there but we were the last ones to leave. The mushroom soup doesn't look very appetizing but it tasted very, very good! I think it was of that color because the mushrooms were actually chopped to bits then it's topped with freshly ground pepper. 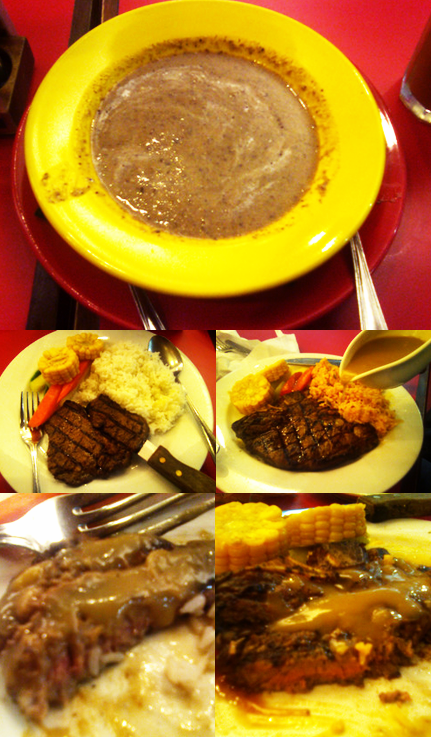 We ordered Rib eye steak and Porterhouse steak (both with rice and side dishes). We requested it to be well done though the food attendant we try it on medium rare so it wouldn't be dry, we agreed. And we were informed that the serving time is 20 minutes. Boyfriend said the soup would have been better if it was served hot instead of warm because we still needed to wait long for the main course. I loved the food! When it was served, it really looked mouth watering and juicy. The steaks were very moist and as you can see from the bottom pictures, it was indeed medium rare. I t was very juicy and tasty and as I read from the menu, it really melts on your mouth. Boyfriend really loved what he ordered too! He insisted I try to add steak sauce but I opted for the gravy. I really enjoyed the meal. We would definitely be coming back to try the potato skins and the chicken tenders. We thought of having dessert but we were just so full! After we did all the things on our list, we went home and just slept throughout the whole ride home to Cavite. I was beat!